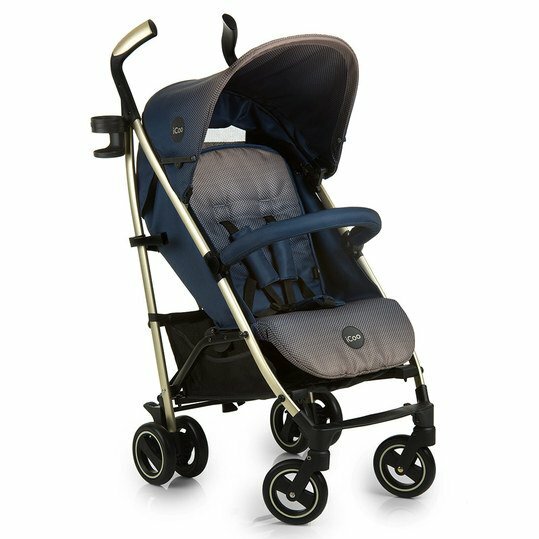 Fast through the city or relaxed through the green: The Pace - Dressblue from iCoo is the right buggy for almost everything. On the extra wide seat, big and small children have it super comfortable. In the lying position your treasure can take a deserved nap - well secured by the padded 5-point harness. 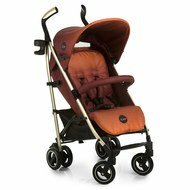 You benefit from the easily foldable aluminium frame, ergonomically shaped push handles, a spacious shopping basket and the cool shimmer look. Super: The matching leg blanket and a drink holder are included’in addition. Sitting on the extra wide seat, your child watches the world around him. It is well secured by the padded 5-point harness and the protection guard, which is also padded and is also great for supporting the arms. Long rides make müde, so you can easily and quietly put the Rückenlehne with just one hand up to the lying position. So the little sleepmütze does not wake up if you position it comfortably. The leg supports can also be adjusted. At a well-earned sleep, the canopy protects you from the sun and wind. It is equipped with a viewing window and a utensil bag and can even be enlarged with a zipper. So you always have your little one in the best view. Thanks to the practical pocket in the hood, the most important things are always ready to hand. It can be attached and removed with just two clicks. You simply stow your groceries in the shopping basket under the seat. The bottle holder on the slider also provides the perfect place for the bottle. Also included in the scope of delivery is a leg cover in a matching design. So your child has a cuddly warm feeling on cold days. 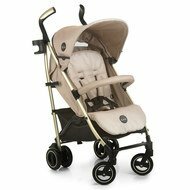 Swivelling and lockable front and double rear make the Pace a stable companion for shopping trips and park walks. 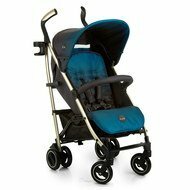 The spring-loaded buggy stands on puncture-proof, smooth running air-chamber tyres and a lightweight aluminium frame. It is quickly folded using umbrella technology. So you can easily transport or stow it away. The fuse will keep him safely together. The parking brake on the rear axle provides a reliable stop. 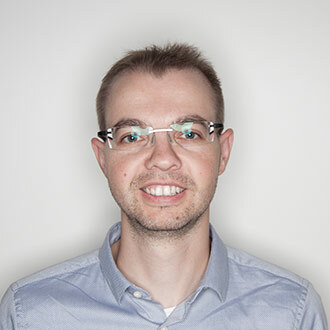 Buggy Pace - Dressblue wurde bewertet mit 5.0 von 5 von 1.